The Directorate of Government Examination has released the notification about HSE first year public board exam March 2019 application form. Private candidates those who completed SSLC exam March/June 2018 and before can apply for TN Plus One private exam through Government Examination Service Centres. 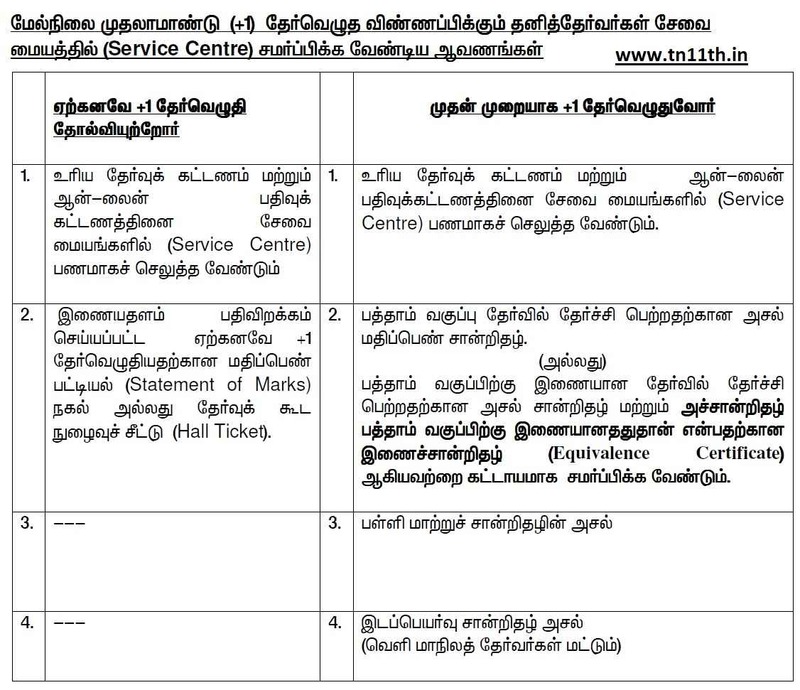 Tamilnadu 11th Application Form 2019 available from January 2019 at official service centres. Candidates should not be written HSE first year board exam already in other states. Candidate’s age should be completed 15 and half (15 years 6 months). Candidates should be passed in SSLC public exam or equivalent exam (Need to submit Equivalence Certificate) and one year gap. Candidates those who completes their SSLC examination in other states should attach Original Migration Certificate with Application Form. Candidates those who failed in +1 Exam March 2018, can apply for failed subjects. Under higher secondary board exam subjects, candidates should apply for six subjects including language subjects. Notes: Candidates should note down and keep your application form number carefully. Because the Admission Certificate (Hall Ticket) which is going to be released by the TN DGE can be downloaded only by using application number. 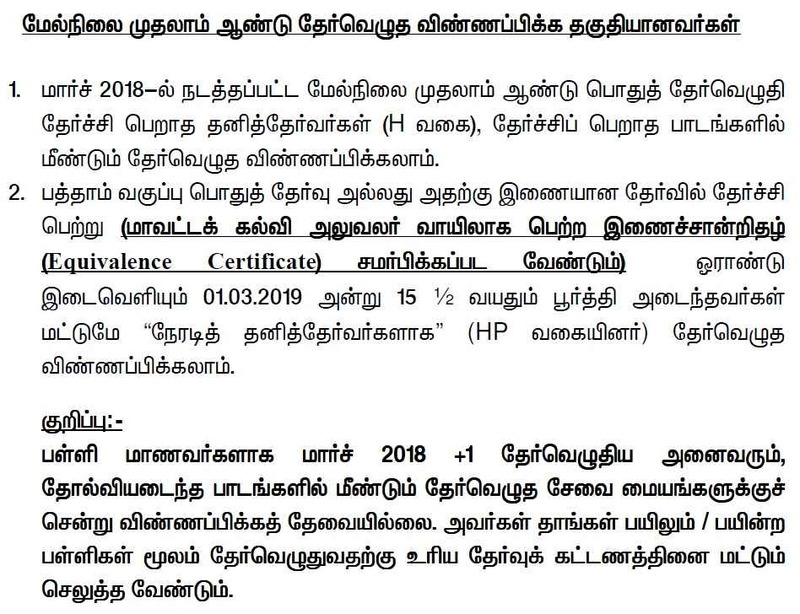 How to Apply for Tamilnadu 11th Exam March 2019 ? Candidates can prepare for supplementary or private exam using syllabus, blue print and model question paper. You can also check Tamilnadu plus two result 2019 and time table dates.